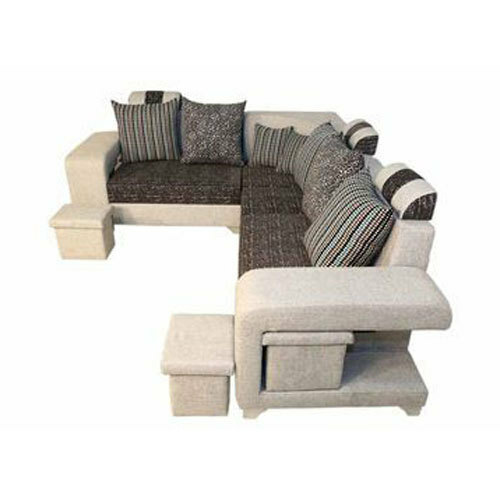 Owing to the wide experience in this domain, we are instrumental in offering L Shape Sofa Set to our clients. We stepped into the market in the year 1994 with a name of Sri Anu Furniture. Our company is well known for manufacturing and trading a large range of Dining Table, Sofa Set, Wooden Bed and many more. Being known as Sole Proprietorship (Individual) based firm we are engaged in providing quality approved and highly comfortable products to the customers. Our products are highly acknowledged amongst the customers for their long lasting life, fine finish, appealing look and many more. Anu Furniture is the most celebrated brand in the market for offering a wide range and impeccable designs of products. We are retailer of Godrej and many more brands. The position we have achieved after completing a long journey is the result of trust and satisfaction of our customers. We are into the business of serving furniture needs of the people since 19 years thus make the dreams and imaginations of people come true in form of our products.